The BKK’s AGM will be held on 6th April at 14.30 – the Minutes of last years AGM, the Agenda and Accounts will be uploaded to the BKK web site. Nominations for Officers and EC memers etc. should be forwarded to the BKK Chairman in accordance with the BKK Constitution (i.e. 21 days prior to the AGM). 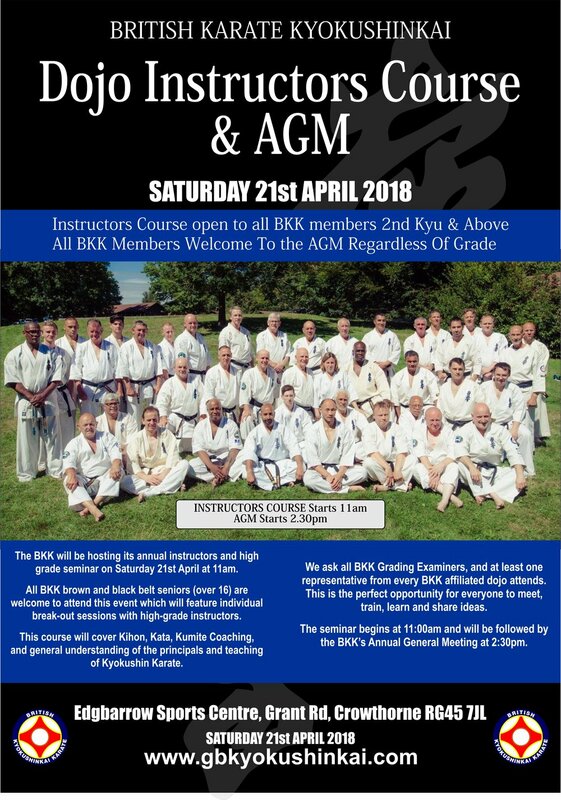 Please note the Grading Instructors Course and BKK Instructors Course will commence at 11.00 and the AGM will begin at 14.30. Venue: Edgbarrow Sports Centre, Grant Road, Edgbarrow, Berkshire, RG45 7JL. This is the first of two courses are in preparation for the Welsh Open Tournament 11th May 2019 and the British Open – Cup of Europe at K2, Crawley, Saturday 5th October 2019. This course is in preparation for the British Open – Cup of Europe at K2, Crawley. Any qualified or non-qualified Referee/Judge wishing to be considered to officiate at the British Open must attend this course as it is the only one before the tournament. 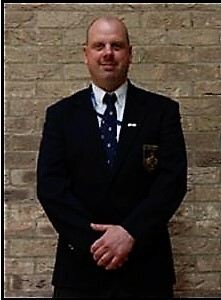 Shihan Andrew Turner (BKK Chief Knockdown Referee) will also be looking at Qualified Referees to attend the KWU European / Junior World Tournament in December in Bulgaria. A new exam has been developed to incorporate Adult, Veteran, Cadet and Junior Kyokushin rules in a single exam. Cost: BKK Refs/ Judges course £10 - Exam £5. 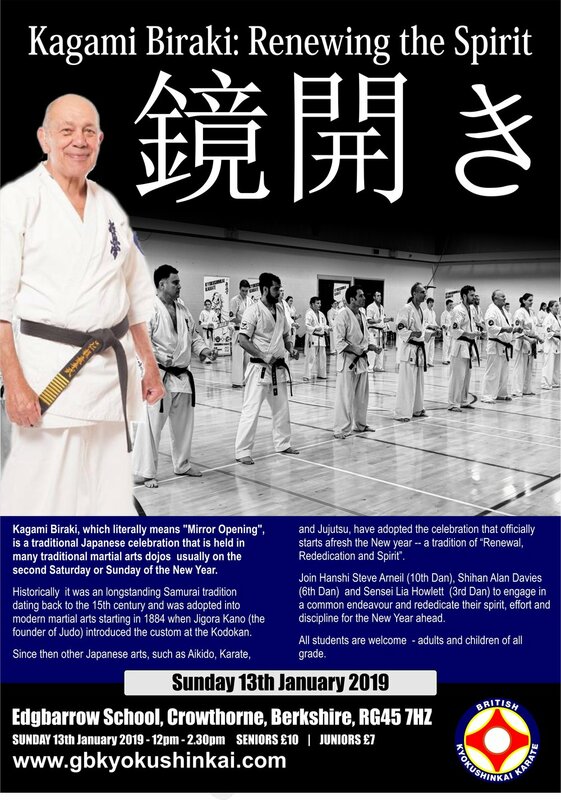 Please get in touch Shihan if you wish to attend. The BKK will be hosting its annual instructors and high-grade seminar on Saturday 21st April at 11am. Shihan Andrew Turner is holding a on knockdown and Kyokushin Rules Referees Course, also incorporating a presentation on the BKK training protocol for children fighting in Kyokushin Rules tournaments. This course is in preparation for the English Regional Tournament that will be held on Sunday 13th May 2018. At this tournament there will be a Junior Kyokushin Rules Event open to all BKK members. All Instructors wishing to enter junior students must attend this course. It is also important all Qualified and Non-Qualified Referees attend this course. Held at: Rowena Davey Centre, Chequers Lane, Great Dunmow, CM6 1EQ. This is an open invitation to the annual waterfall training on Sunday 7th January 2018 at Sgwd yr Eira waterfalls in the Brecon Beacons of Wales. This event takes place annually on the 1st Sunday of the New Year. This is a fantastic opportunity to train together with your Kyokushin family, to experience the spiritual mokso (focus" & "clear one's mind) at the side of the waterfall. Throwing punches under the flowing waterfall is such an amazing sensation! A great positive way to start the New Year getting you in the right mindset to meet any challenges the New Year has to throw your way and most importantly start you Kyokushin training off the way you mean to carry on. Meet at 10.45am on the 7th of January 2018 at The Lamb Hotel, Chapel Road Aberdare CF44 9JX. We will have some photos taken before starting the run at 11.00am.Due the nature of this event only 16 years and above are allowed to take part. In recent years friends from Germany and Ireland have made the pilgrimage, and I’m sure this year will be no exception. Please spread the word and lets makes this year even bigger. We look forward to see you all there. Please email or phone me for further information. Sensei Darren Stringer, TeamGB Kata Coach, and 3 times IFK World Kata Champion will be holding a kata course focusing on form and bunkai. 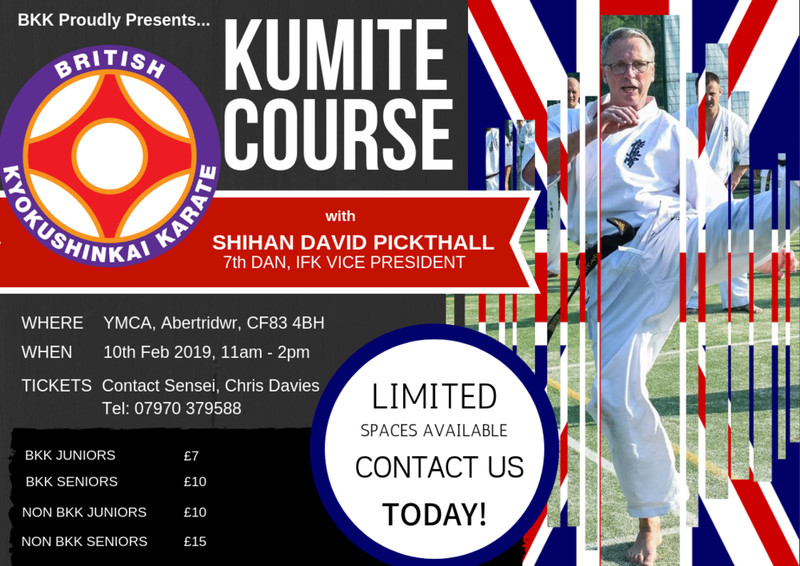 Please contact Sensei Darren for more details. 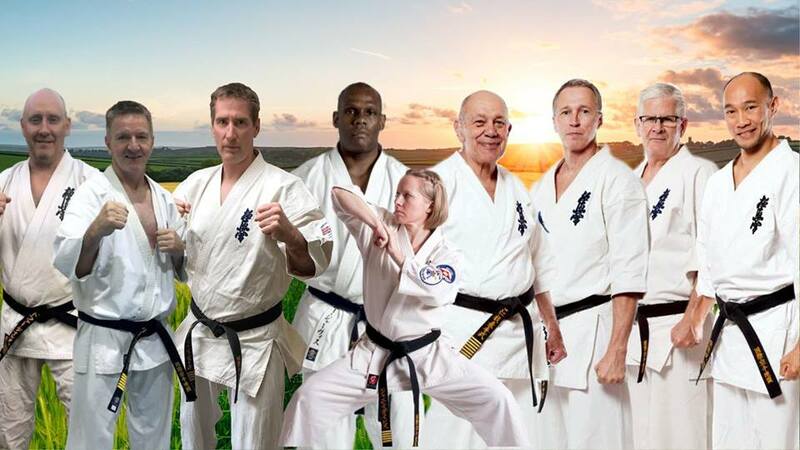 This session will be the perfect addition to compliment your regular dojo training, and an opportunity to be selected to represent your country as part of the Team England. New faces are always welcome at the Junior Squad sessions! 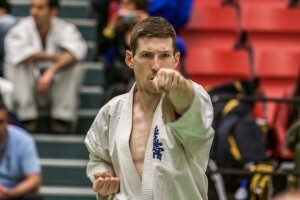 Shihan Nick da Costa (6th Dan) will be holding a practical point-scoring seminar aimed at students wishing to improve their techniques and understanding of the Advanced Clicker fighting system. This course is open to senior (18+) BKK students of all levels, whether you are thinking about entering your first tournament or for more advanced students wishing to refine your techniques & training routines. 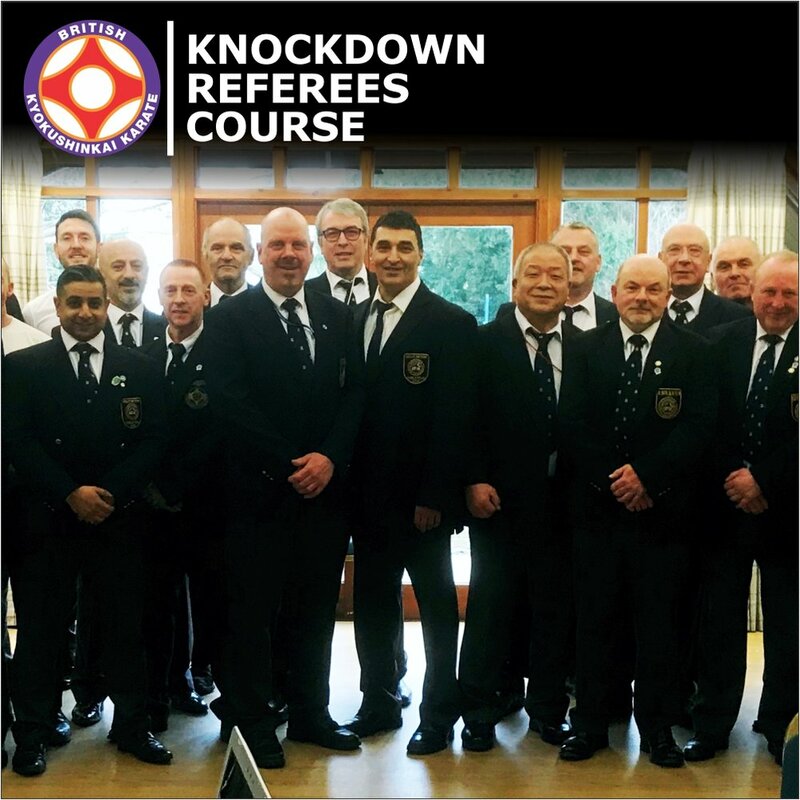 In preparation for the British Open Knockdown Tournament, 23rd September 2017, Shihan Andrew Turner (BKK Knockdown Chief Referee) will be holding a knockdown referee course. Due to rules changes, anyone wishing to be invited to referee or judge must attend. Please contact Shihan Andrew on 07974 094925 or andrew.turner491@btinternet.com if you wish to attend. The BKK Summer Camp is open to students from all organisation. Ages from 8+ are all welcome (under 16’s train separately to the seniors). The camp will be held from Thursday 10th - Sunday 13th August in the beautiful surroundings of Felsted School, Essex, UK; Stansted airport is close by. 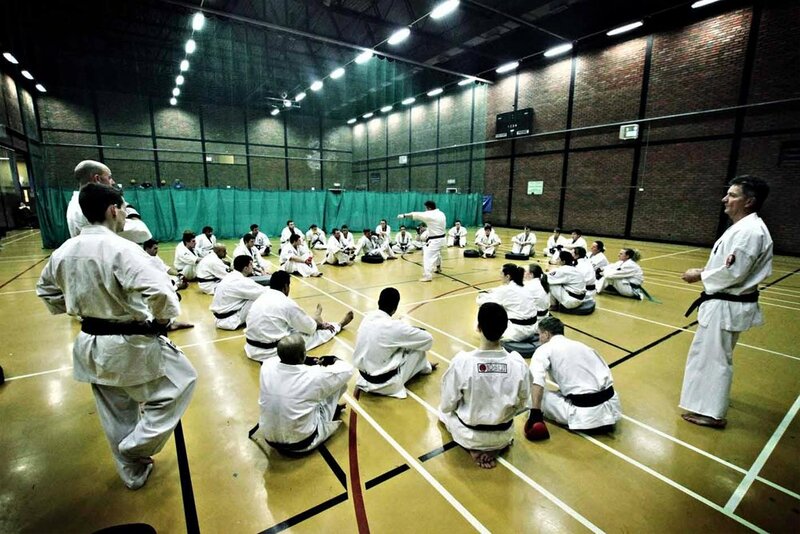 There are up to 4 karate sessions a day by top Kyokushin instructors, led by Hanshi Steve Arneil (10th Dan). 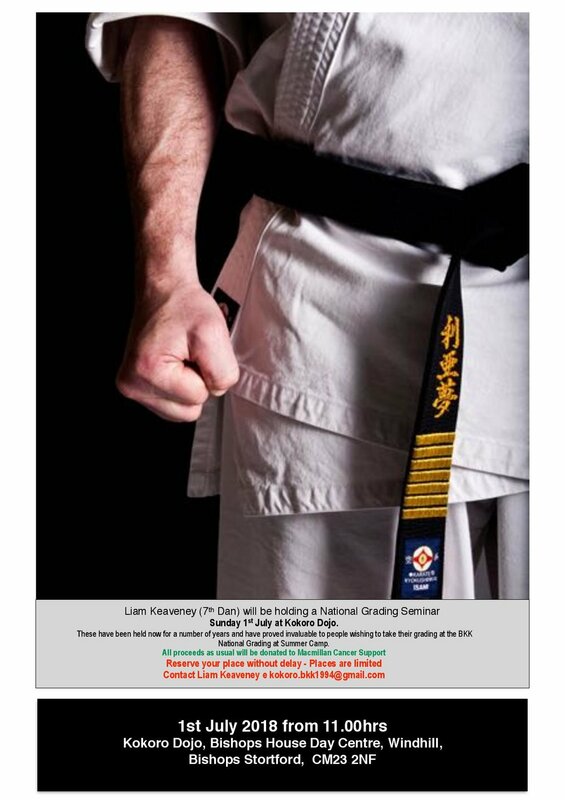 IFK Kyokushin students can also choose to grade at camp under the instruction of Hanshi Steve Arneil 10th Dan. The cost to attend BKK Summer Camp is £130 for juniors, £160 cadets (ages 16-17) and £185 for adults 18+. Prices include 3 nights accommodation, full board (breakfast, lunch & dinner), all training sessions and Sayonara party. Adult (18+) GB squad training is open to all 18+ members. 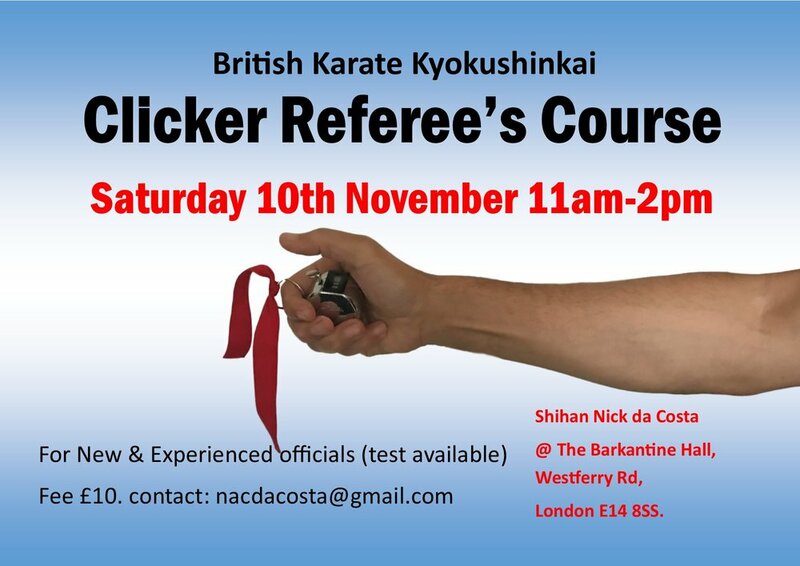 This is the first Knockdown Referees Course being held by the BKK's newly appointed Chielf Referee Shihan Andrew Turner. It is important the existing referees, and those seeking to attain referee qualifications attend this course. New referee candiates always welcome! Even if you are an experienced referee, it is important you attend this course so you are familiar with the latest rules, regulations and practices.